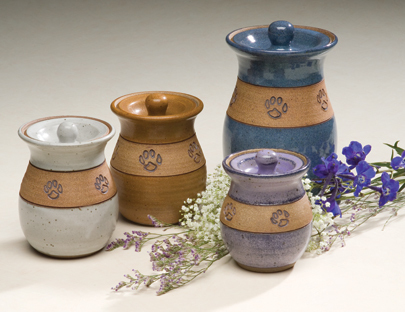 Hand-crafted stoneware urns with a paw print motif. Available in Large, Medium and Small sizes. Also choose from 3 different glazes: Blue, Carmel, and Oatmeal.